1) Hot forging aims to fabricate the work pieces of certain temperature (different materials require different temperatures) into other shapes through forging press with the help of punch press, forging machine or other equipment, for instances, hot extrusion of watch case, watch flan, handle, mold accessory, kitchen and table ware, art ware, standard part, fastener, fabricated mechanical part, bronze lock, rivet, steel pin and pin. 2) Hot fitting refers to the connection of different metals or metals with nonmetals through the heating based on the principle of hot expansion or hot smelting, for instances, embedded welding of copper core of computer radiator with aluminum sheet and speaker web, compound of steel and plastic tube, sealing of aluminum foil (tooth paste peel), motor rotor and sealing of tubular electric heating element. 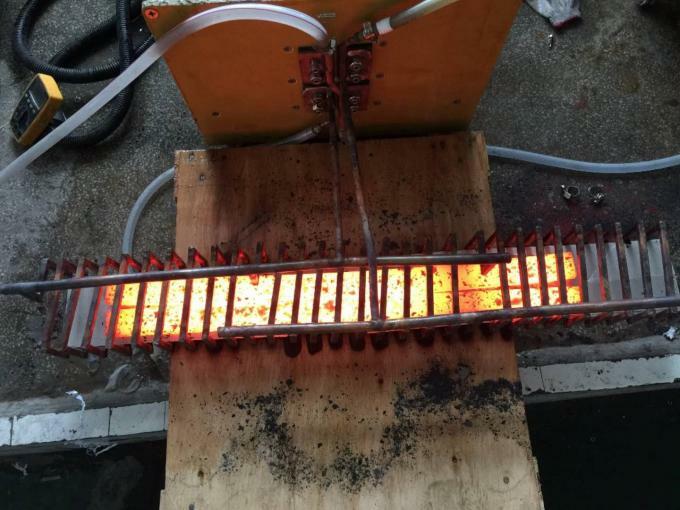 3) Smelting mainly aims to melt the metal into liquid by using the high temperature, which is mainly applicable to the smelting of iron, steel, copper, aluminum, zinc as well as various noble metals. 1) Hardening for various hardware and tools, such as plier, wrench, hammer, ax, screwing tools and shear (orchard shear). 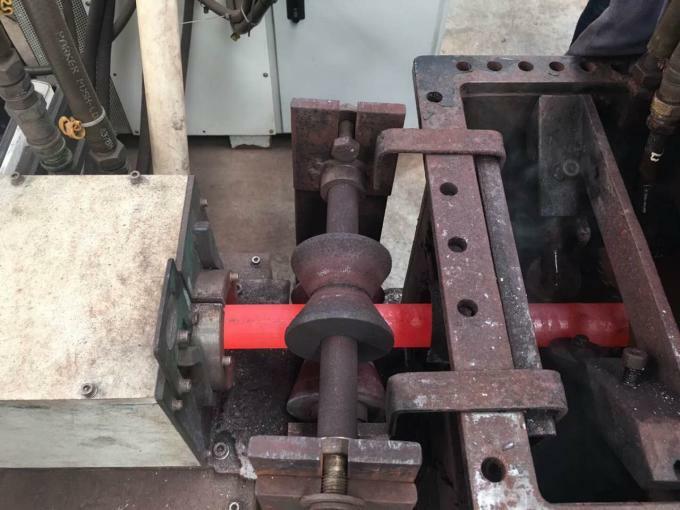 2) Hardening for various automobile and motorcycle fittings, such as crankshaft, connecting rod, piston pin, chain wheel, aluminum wheel, valve, rock arm shaft, semi drive shaft, small shaft and fork. 3) Various electric tools, such as gear and axes. 4) Hardening for machine tools, such as lathe deck and guide rail. 5) Hardening for various hardware metal parts and machined parts, such as shaft, gear (chain wheel), cam, chuck and clamp etc. 6) Hardening for hardware molds, such as small-size mold, mold accessory and inner hole of mold. 1. Conventional heating with such fuels as coal, gases, and oil has such deficiencies as serious pollution, atrocious working environment and serious hidden safety hazards. 2. Furthermore, coal, gas and oil are inadequate to perform fast and uniform heating, and are apt to incur deformation of work pieces, thick oxic horizon, poor quality, rough surface and high scrap rate, which can not ensure the competitive power of your products. Fast heating: the minimum rate of heating is less than 1 second (rate of heating is available for adjustment and control). Wide coverage of heating: it can be used to heat various metal parts (replace removable induction coil as per different operating switches). Easy installation: it can be used once it is connected with power source, induction coil as well as water supply pipe and rising pipe; it is small in size and light in weight. Easy operation: you can learn to operate it within several minutes. Fast start-up: it can be started to perform heating operation on condition that water and power supply is available. 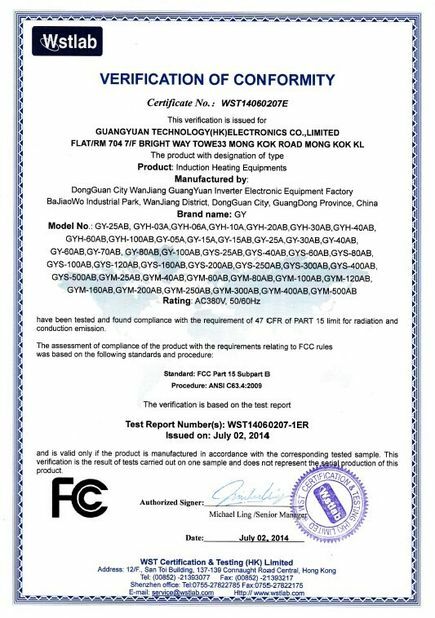 Low power consumption: As compared with conventional vacuum tube high frequency equipments, it can save the power by approximately 70%. The smaller the size of the work piece is, the lower power consumption would be. 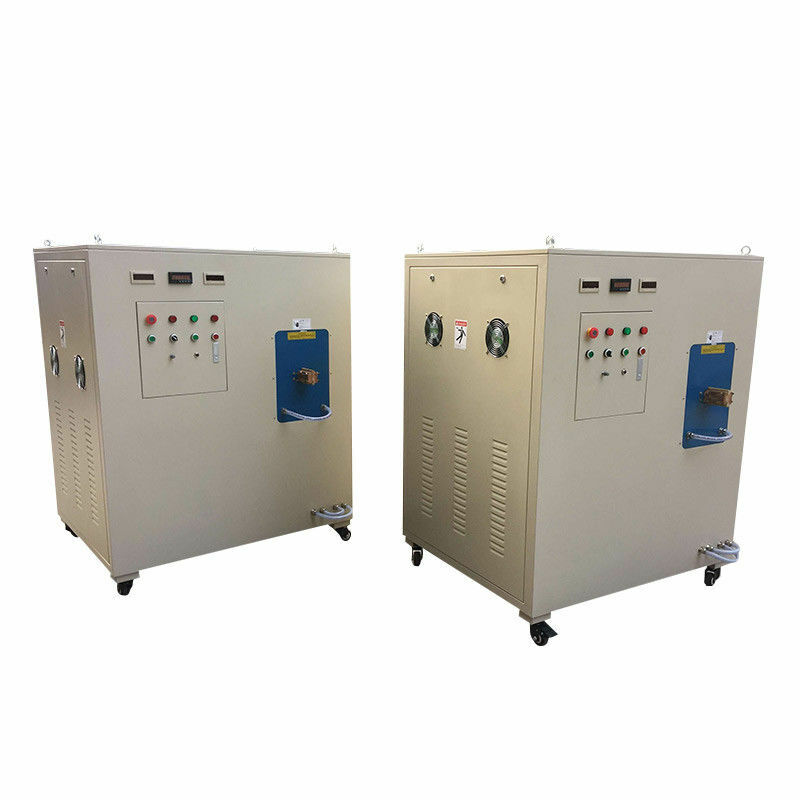 High effectiveness: it has such features as uniform heating (it is applicable to adjust the spacing of the induction coil to ensure the appropriate temperature as required by each part of work piece), fast warming and limited oxic horizon, and can guard against any waste after annealing. Comprehensive protection: it has such functions as overpressure, over-current, overheat and water shortage alarm indications as well as automatic control and protection. Controllable temperature: it is applicable to control the temperature for heating work pieces as per the preset heating time, and thereby control the heating temperature at a certain technical point. Small size and light weight: it has a weight of only several dozens of kilograms, of which, the limited floor space can effectively save the workshop space. Sound operational environment: it is favorable for environmental protection, conservation of energy and safety operation, which is free of any noise, exhaust gas and dust. 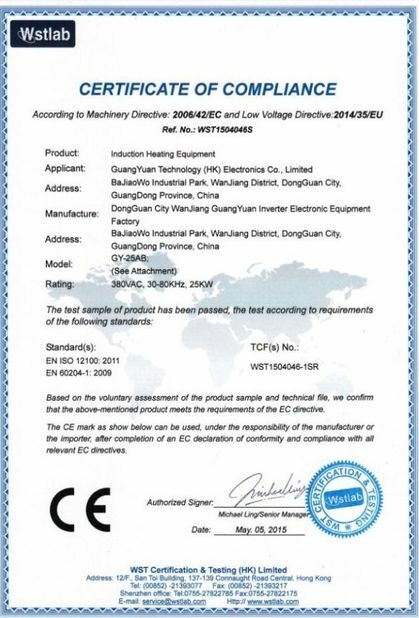 Elimination of high voltage: it requires no step-up transformer which may produce approximately ten thousand voltage, and thus can ensure the maximum safety. Comprehensive full load design: it can work continuously for 24 hours.